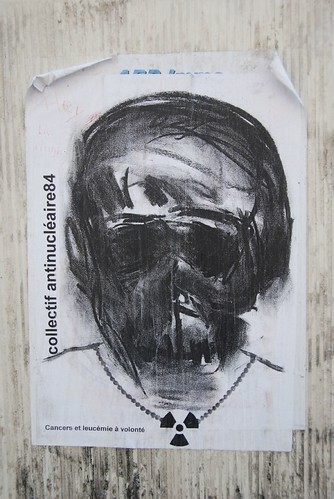 Poster by the Collectif Antinucléaire84 in the streets of Avignon (84 being the postal code of Vaucluse). Photo: TMK, August 2008. 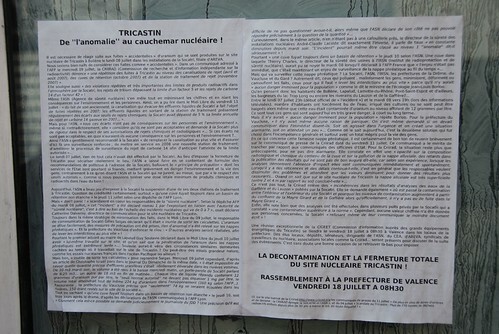 A rant in Nyons: “From ‘anomaly’ to nuclear nightmare”. Photo: TMK, August 2008.